Legendary NYC label Strictly Rhythm celebrates its 25 year anniversary with a new range of t-shirts, with unique designs incorporating photos from 90s photojournalist Alice Arnold. The first two t-shirts are the first designs of a new range featuring Alice Arnold’s club photography, shot at various venues in New York between 1990 and 1999. The photos that have been used for the first two designs were taken at iconic NYC club Shelter, while further lines to be added to the collection later this year will make use of photos from similarly renowned clubs Zanzibar and The Sound Factory, all of which were major players the burgeoning underground scene of New Jersey and NYC. The super-soft crew neck t-shirts are 100% cotton with printed designs and available in both black and white options. The new t’s join a Strictly range that includes logo t-shirt and sweats designed and produced in association with an established fashion design team based in Shoreditch, London. The new Strictly Rhythm t-shirts are available now exclusively via the Defected Store priced at £25, or as part of discounted bundles including Strictly music, merchandise and more. 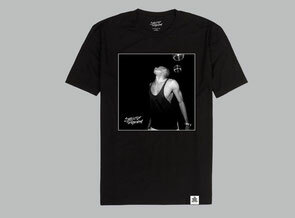 Visit http://store.defected.com/catalogue for more details.